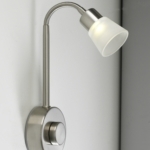 This stylish and modern bedside light has a natural white LED light which is encased in a frosted glass cover. 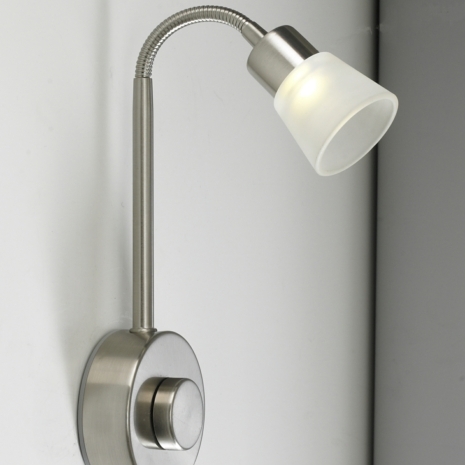 The LED is also dimmable using the integrated knob, which is ideal for situating by a bedside for use as a reading lights. The bedside light is mains voltage, eliminating the need for a power converter. What amp rating would be required for a mains plug? Is it there a plug? Does the lamp need to be installed or does it comes with a plug? There is no plug supplied as it is usually wired into the mains, a plug can be added to plug into a socket. 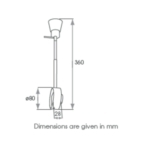 It says in the details the cable length is 1.5 metres but the overall measurement of the light is only 360cm. Does the top part flexible and also extendable? the 1.5m is the main cable length, the top part of the light is not extendable. Unfortunately the bulb can not be replaced on this LED light fitting although we do give a 3 year warranty on this item. 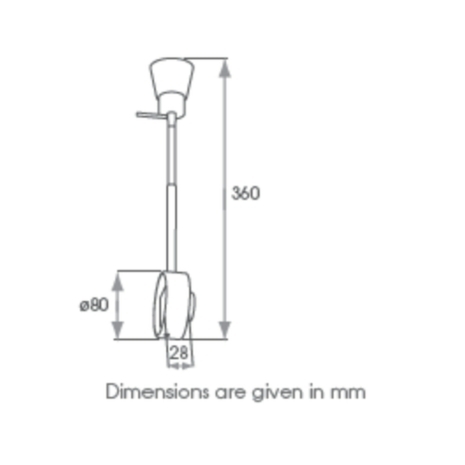 What type of bulb & base type is required for this fitting, and is a bulb supplied with the item?